The prequel to the best-selling game BATMAN: ARKHAM KNIGHT! The Joker is dead. Arkham City is closed. As a new day begins, Bruce Wayne finds himself in devastating pain, recovering from his injuries and questioning whether his role as Batman is still necessary to the citys survival. But as the sun rises in Gotham City, dangerous new threats emerge from the shadows...and the Arkham Knight is just beginning. 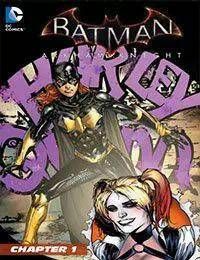 Dont miss this in-continuity prequel comic set prior to the events of the brand-new video game Batman: Arkham Knight! Collects BATMAN: ARKHAM KNIGHT #1-4.